Richard Bush, Steven Teppler, Henry Paul, Judy Rushlow, and John Berry join us as they speak on the topic of the 2018 Masters Seminar on Ethics, which includes the most common ethics issues lawyers encounter. John Barkett talk about the topics of hypotheticals practitioners. Peggy Hoyt and Alex Douglas talk about different forms of elder abuse and what people can do to protect themselves. Amy Borman and Murray Silverstein explain the Florida Bar’s e-filing portal, how it works, and how attorneys can properly e-file their documents. 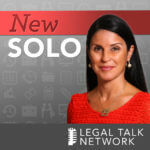 Judy Rushlow and Molly Paris discuss the Florida Lawyers Assistance Inc. (FLA) and how this could be a good resource for attorneys with mental health or substance abuse problems. Drew Hinkes and David Silver talk about how lawyers can and should interact with cryptocurrency. Anessa Santos and Scott AllendeVaux discuss blockchains and smart contracts as well as address problems within the legal profession. In todays episode, Joe Ankus gives his thoughts about mental health first aid training and what positive impacts it can have on law firms that use it. Deputy M. Dean Crump talks about workplace violence and the importance of training employees to handle it properly. He discusses how to safely deal with terminations, physical security measures, and how to prepare for an active shooter situation. 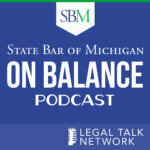 Diana Kellogg, Jessica Malloy, and Steven Rubin talk about the BLSE including what the certification process looks like and why it’s important for attorneys. Larry Krieger expands on why attorneys often struggle with depression and the wellbeing factors that may lead to satisfaction in a legal career. Mary Adkins discusses the 2017-2018 Constitution Revision Commission (CRC), the third of its kind in Florida history. Shanell Schuyler discusses common complaints her office receives and how lawyers can avoid being the cause of these complaints. In this legal podcast, Scott Rogers talks about using mindfulness as a way to maintain well-being as a lawyer. Scott Westheimer talks about the future of the PRI, the benefits of being a member, and how the program has grown. Future president-elect of The Florida Bar Michelle Suskauer interviews current president and president-elect Bill Schifino and Michael Higer. This episode of The Florida Bar Podcast from the 2017 Annual Florida Bar covers social media and the ethical considerations lawyers need to make when using it. Melanie Griffin, chair of the Annual Convention Committee, talks about what this year’s convention will look like including technology CLEs, president showcase seminars, and networking opportunities. 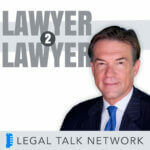 This legal podcast covers the four common business issues law firms struggle with.